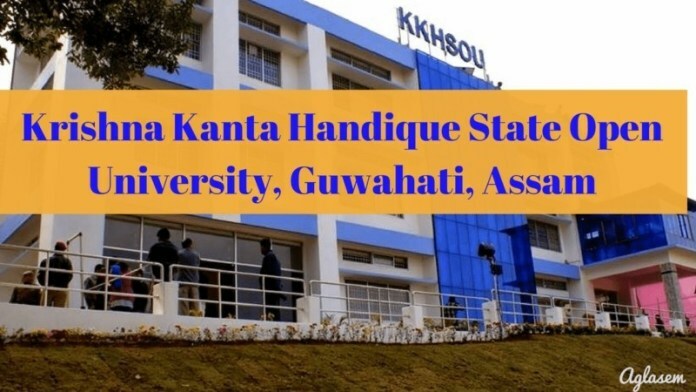 KKHSOU Assignment 2018 – is available for all the programmes on the official website of Krishna Kanta Handiqui State Open University(KKHSOU). Students can check the assignment for the year 2018. The Assignment is are to be written by the students in their own word rather than copying it. Doing so will reduce the marks of the students. The assignment should be written in own handwriting. The assignment is made available on the website after the admission to the respective semester. KKHSOU Assignment is available in the printed form along with the SLM. The assignment should be submitted one month before the exam in the respective study centre. Students are advised to submit the assignment within the prescribed date. Check the article for information regarding KKHSOU Assignment 2018. Latest: Check the table for Master, Bachelor, and Diploma Degree Assignment. KKHSOU Assignment 2018 is very important to submit. KKHSOU assignment is to be submitted to the study centre and collect the receipt for the study centre after the submission of the assignment. If the student fails to submit the assignment in the time will result in the withheld of the result. Students can check KKHSOU Result from the official website. Check the table for the assignment 2018. How to Download KKHSOU Assignment 2018? Students can check/download KKHSOU Assignment 2018 through the link provided in this page. As we know the assignment will be uploaded on the official website, the students can check KKHSOU Assignment from the website following the simple steps. Check the assignment question or download the same. The assignment is also a part of the teaching process and is compulsory. The assignment submitted by the students is evaluated and the feedback is given to the students by giving back the assignment with the comment of the evaluator’s. Those assignments are to be collected by the students from the study centre during the issue of the admit cards. The Assignments are stored in the study centres office until the end of the next semester. The assignment is stored for the verification by the university. The marks of the assignment are sent to the exam controller as soon as the exam routine is published or uploaded on the website of the university. The assignment carries 20 marks. The 50% marks of theory and 50% of the assignment are included in the final declaration of the result. The students have to write the assignment as soon as the SLMs are received. The assignment is to be written in own handwriting. The completed assignment is to be submitted to Co-ordinators as per the dates mentioned by the University. Writing and submitting of the Assignment is compulsory. The last submission of the assignment will result in the withheld of the semester result.